The purpose of any business is to bring in customers, and it can only be accomplished through marketing. If your cash registers don’t ring, something is wrong and you had better find out what is wrong fast. Because in today’s competitive retail business … getting results is what counts. Successful retailers aren’t any more talented or intelligent than you are — They simply have learned to do things in a different way and make money in the process. Use the following 12 steps to improve your retail sales, you’ll simplify your efforts, multiply profits, and increase the odds of success. Having your own business is more than just creating a job for yourself. Your basic roles are in marketing, finance, administration, and the responsibility of personnel. To get the best results, it is rare for one person to play all these roles equally well. You must know which parts you can handle yourself and which parts you’re going to need help with. Many stores are run by well-intended people but who don’t have all the information they need to do their job. This includes a clear idea of market segment, target markets, customer service, product selection, marketing mix, promotional activities and pricing tactics. If you want to succeed you need a well thought out business plan that helps you make the right decisions. Make it your business to give your customers what they want, and they will do business and buy from you. The products and services you provide should reflect your customers needs and wants. Think in your customers’ terms; buy, show, sell, and say things that interest them, not just what interests you. Remember, it is the customer that determines whether or not you succeed. 5. Keep Good Financial Records. If you don’t know where your money is going, it will soon be gone. The “game of business” is played with computers — and the score is evaluated in dollars and cents. Good financial records are like the instruments on an airplane, they keep you posted of your height, direction, and speed. Without them you’re flying blind with no controls to guide you to your destination. It doesn’t matter how unique and wonderful your store is, your business can’t survive without cash flow. 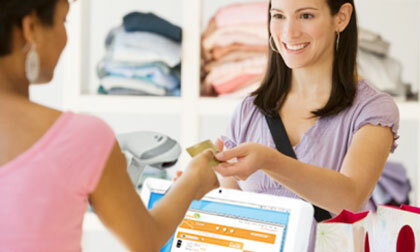 Money coming in your store is the vital component that keeps your business financially healthy. If you budget wisely and know the interval of your monthly income and expenses, you won’t have to worry about running out of money. 7. Use Sound Management Practices. As a store owner, you are also a manager. You have to make decisions, offer customer service, manage time and resources, and know how to merchandise and run the business better than anyone working for you. Give your employees the opportunity for growth, treat them fairly, pay them what they’re worth, and they will help make your business successful. 8. Develop A Distinctive Image. Your image is important and is a function of your marketing efforts and materials. Customer’s create their perceptions of your business from your name, web site appearance, store location, products, prices, visual merchandising, signs, displays, business cards, newsletters, advertising material, customer service and anything else that relates to your business. All retail stores need to manage inventory. It is your money sitting on a shelf and represents a large portion of your business investment. The retailer who merely watches the store’s shelves can’t maintain a proper balance between the right amount of merchandise and probable customer demand. Without adequate control, slow-moving inventory becomes dated and very costly. 10. Buy and Price For Profit. To understand retailing, one must start with the concept that the price of your merchandise is nothing more than a temporary estimate of what the customer is willing to spend. In devising your overall pricing strategy, a practical approach can be based on the function of supply and demand. To be more competitive, join buying groups and seek out manufacturer discounts that allow you to purchase merchandise below wholesale prices. By offering better values, you’ll be able to attract more customers, and offer more opportunities to shop at your store. 11. Learn From The Pros. In today’s explosive markets, making the right moves is absolutely essential, there is little room for error. Without knowing how to navigate through these fast-moving times, it can be a tricky and even a self-destructive experience. Because of the emotional and sometimes difficult decisions that must be made, the crucial difference is having fresh ideas with an impartial business position. 12. Ask For Help When You Need It. Remember, getting results is what counts! Don’t be too proud to ask for help, we all need help sometimes. It is important to recognize that what you don’t know can end up costing you money, hurt the odds of success, and greatly reduce the chance of achieving your business goals. Hiring an expert with specialized skills can be the most profitable decision you can make to protect both your business and financial future.